Meet up your guide at your Paris hotel in the morning, and take a seat on board, in your air-conditioned vehicle (free WiFi and educational tablets available in the minibus). Then head off into the countryside toward the Normandy coast, with its pretty ports top natural attractions and centuries of history await you. 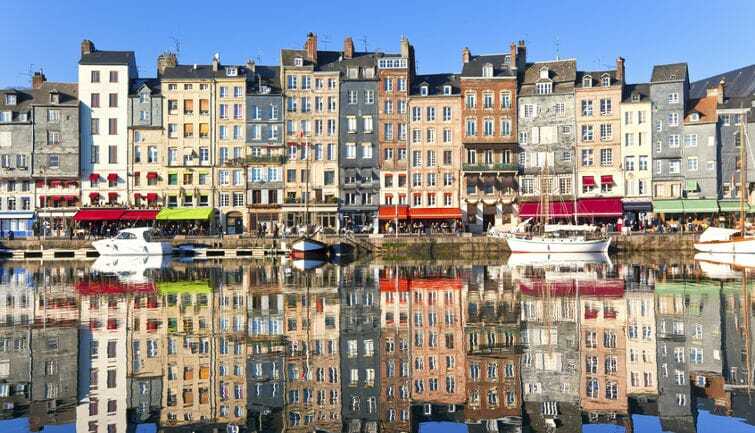 Begin your visit with Honfleur, widely recognized as the most charming of all Normandy’s port towns. Explore the narrow cobbled streets, made famous by Impressionist painters such as Eugène Boudin.Then take in top sites of interest including the bell tower, the Old Port and pretty Sainte Catherine Square. Traveling onward along the Côte Fleurie and admire the same panoramic views over the French coastline once enjoyed by Claude Monet. Explore the fishing villages of Trouville and Deauville —beauty spots with their seaside resorts and traditional houses meet open expanses of sandy beach.When your travel on the Côte Fleurie comes to the end, on route back to Paris admire the famous views of Normandy’s chalk and its clay cliffs.